Over the past sixteen months of bloody conflict in Syria, observers have been waiting for one key development: top-level defections from within President Bashar al-Assad's inner circle. Suddenly, it seems a pressure valve has gone off. Pilots, ambassadors, and even one general have defected. What does it mean? The general is Manaf Tlas, a childhood friend of Assad, and an officer in the elite Republican Guard. 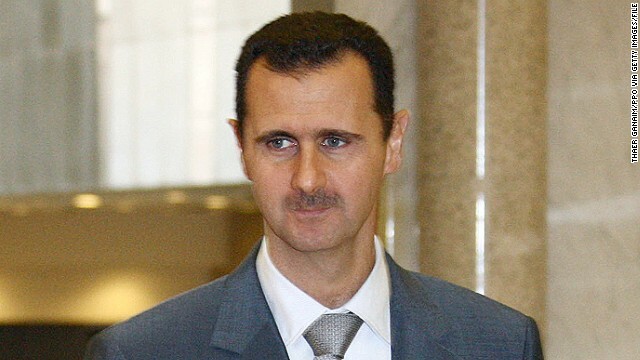 Tlas’s father was chief of staff and then minister of defense, for 30 years, under Bashar’s father Hafez al-Assad. This is as close to the top of the Syrian regime as you might get. That’s why Secretary of State Hillary Clinton took special note of Tlas. “If people like him, and like the generals and colonels and others who have recently defected to Turkey are any indication, regime insiders and the military establishment are starting to vote with their feet,” she said. But there are some crucial caveats. Tlas hadn’t been a member of al-Assad’s inner circle for a while – he had actually been under house arrest for more than a year. Also, he was high ranking, but he wasn’t an Alawite. While Alawites make up only 12% of Syria’s population, they hold more than 80% of the positions in the powerful Republican Guard. They are the inner circle. According to some reports, when Sunnis are put on guard duty, there’s always an Alawite soldier assigned to monitor the Sunni soldiers. But if the increasing number of top-level defections is a signal that the Sunni elite, which is comprised of generals, businessmen, bureaucrats and which has so far stuck with al-Assad, is now moving away from him, that’s a huge shift – and one that will ultimately bring down the regime. There’s mounting evidence that the Sunnis are weakening in their support for the al-Assad regime. We’ve spoken with a former U.S. Marine Austin Tice. He’s now a law student and spending the summer reporting from Syria. On a recent embed with a rebel group, he said he found that the government’s helicopters flew so high that they couldn’t really aim their missiles; he also said he saw first-hand how hostile fire from al-Assad’s tanks and troops were poorly aimed and seemingly random. The suspicion among many rebels at the time, Tice says, was that the predominantly Sunni pilots and soldiers were deliberately missing their targets. Related: A deluded elite in Syria? Another telling indicator of dissent is the number of silent objectors in the army. According to the New York Times, a growing number of Syrian soldiers – many of whom lack the means to flee – are staying home. But to ensure their continued silence and neutrality, these officers continue to draw salaries and pensions. Money is the main reason to believe that al-Assad's regime cannot last. Inflation is said to be as high as 30%. According to some reports, al-Assad and his cronies are freely printing money; the Syrian pound has depreciated against the dollar by more than half on the black market. Meanwhile, the regime is running out of cash. Ninety percent of Syria’s oil used to go to the European Union, but sanctions have put a stop to that. Tourism and trade have of course plummeted. And monetary support from Iran cannot be counted on indefinitely – Tehran itself is buckling under unprecedented sanctions. And there was a report last week that Iran is weakening in its support for al-Assad. An Iranian ambassador gave an interview in a Tehran paper criticizing his government’s support for the Syrian regime and saying that al-Assad’s days were obviously numbered. But there's one more piece to the puzzle – the growing strength of Syria’s opposition. The Free Syria Army is getting stronger. Saudi Arabia and Qatar are now openly arming the rebels, channeling through routes from Turkey, Lebanon, and now even Iraq. Rebel attacks have become more focused, running deeper into the two main cities Damascus and Aleppo. The various opposition groups are coming together to plan for a post-Assad Syria. The question then is, what would such a Syria look like? Topics: Arab Spring • Syria • What in the World? Next entry »Time to update the Israel-Egypt peace agreement? Its such as you learn my mind! You seem to understand so much about this, such as you wrote the ebook in it or something. I think that you could do with a few % to force the message home a little bit, however other than that, this is great blog. An excellent read. I will definitely be back. Its such as you read my thoughts! You appear to know a lot about this, like you wrote the e book in it or something. I think that you simply could do with some p.c. to pressure the message house a little bit, but other than that, this is fantastic blog. A fantastic read. I'll definitely be back. hey there and thanks to your info ? I have definitely picked up something new from proper here. I did alternatively expertise several technical issues the use of this website, since I experienced to reload the site a lot of times previous to I could get it to load correctly. I have been puzzling over if your hosting is OK? Now not that I am complaining, however slow loading instances instances will sometimes affect your placement in google and could injury your high quality score if ads and marketing with Adwords. Anyway I am adding this RSS to my e-mail and could glance out for a lot more of your respective fascinating content. Make sure you replace this once more soon.. Normally I do not read post on blogs, but I wish to say that this write-up very pressured me to try and do it! Your writing style has been amazed me. Thanks, very nice article. Hey There. I discovered your weblog the use of msn. This is a really neatly written article. I will be sure to bookmark it and return to learn more of your helpful information. Thank you for the post. I�ll certainly return. I've been surfing online greater than 3 hours as of late, yet I by no means found any attention-grabbing article like yours. It is lovely price sufficient for me. In my view, if all web owners and bloggers made excellent content as you probably did, the web will probably be much more helpful than ever before. Hey There. I found your blog the use of msn. That is an extremely smartly written article. I'll make sure to bookmark it and return to learn extra of your useful info. Thank you for the post. I'll definitely comeback.
" This is the awesome wonderful search system in the world "